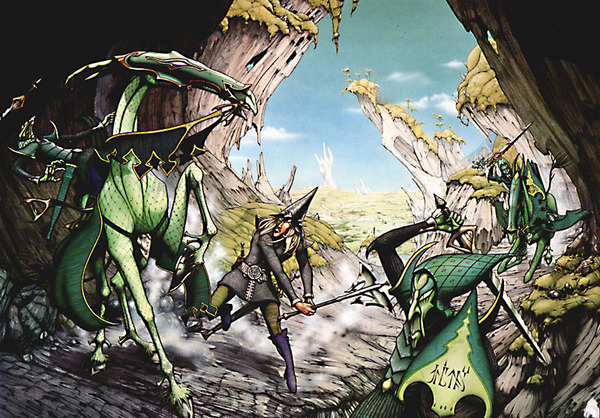 Rodney Matthews appeared out of nowhere in the mid 1970s. At that time the one-stop shop in the UK for posters to adorn bedroom walls was Athena, which made its fortunes from a tennis player baring her bum and Che Guevara. One day, leafing through the stacks for a big picture of Kate Bush, I came across a set of posters of scenes from Michael Moorcock novels. This was pretty astonishing in itself given that Science Fiction was still very much a niche genre despised by non-fans. They were fantastic. 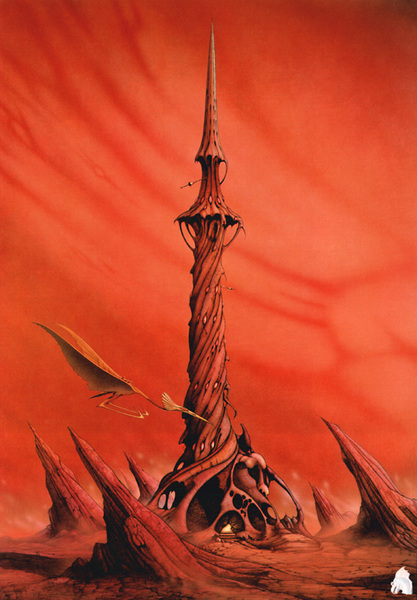 Very few artists had attempted to illustrate Moorcock. The covers of the Mayflower paperbacks were the bizarre rantings of someone who had fallen into a barrel of Acid clutching a copy of the Upanishads and offered very little insight into the books. Other artists tried to cast his heroes and heroines in the standard fantasy mould of Frank Franzetta‘s Conan, all muscles and huge bosoms. 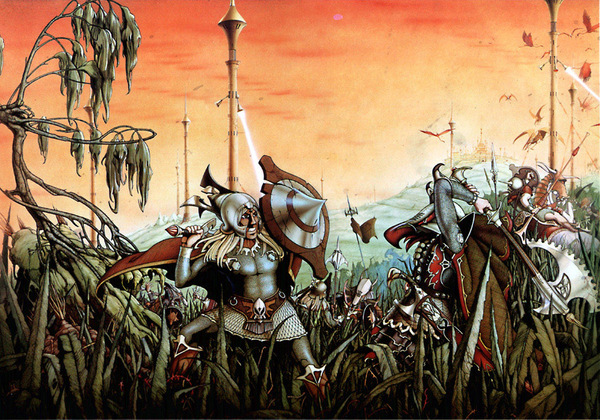 Rodney Matthews somehow managed to capture the exotic imagination of Moorcock’s novels. He used bright colours and strong lines, imparting an almost comic-book feel to his paintings. Yet his strong grasp of composition and meticulous draughtsmanship somehow managed to pull the images out of the realm of the cartoony to invest them with the peculiar sense of the uncanny that pervades the originals. His Elric is spot on, as is his Hawkmoon and Corum. My bedroom wall disappeared under Tanelorn, the Ice Spirit and the People of the Pines. I must have used up half a kilo of Blu-Tac. I was in heaven, Matthews had taken memorable scenes from a bunch of books only I and a handful of other nutters had read, and turned them into massive pictures on sale in a poster shop. Very few artists who came after him managed to achieve the same atmosphere. The covers of the Grafton Elric series fell back into beefy barbarian paintings by some Asda version of Chris Achilleos. Only the Japanese artist Yoshitaka Amano came close to capturing the ethereal, dreamlike qualities of the stories. Matthews is still active and has worked on a huge variety of projects, including Lavender Castle, an animated series produced in 1996 – 1998 with Gerry Anderson. His official website is here – www.rodneymatthews.com. Paper Tiger published collections of his works in the 1990s, but they are sadly out of print.